The day of our last park visit was clear and warm for a late autumn. 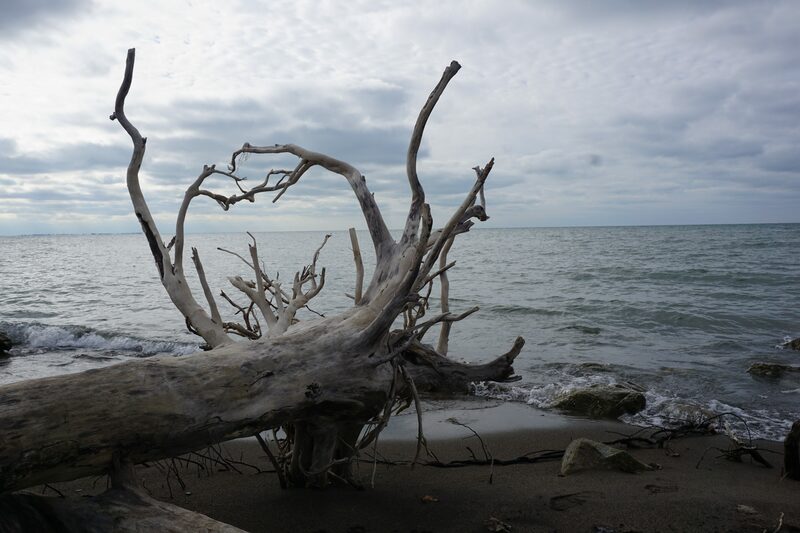 Point Pelee National Park is approximately four hours away which means it can be driven in a day but there are plenty of places to stop for a sleep if need be. The dogs ignored their breakfasts when they saw that I was loading the car with supplies, just in case we decided to stay out. I shut the trunk and stepped back into the house to see three pairs of eyes staring at me. I waved them out to the car and we were soon on the road east. We left well before dawn as we had to get across the top of Toronto before the traffic started to build up, which starts to happen around 6:30 am. That’s right: Toronto traffic can be that bad that early. 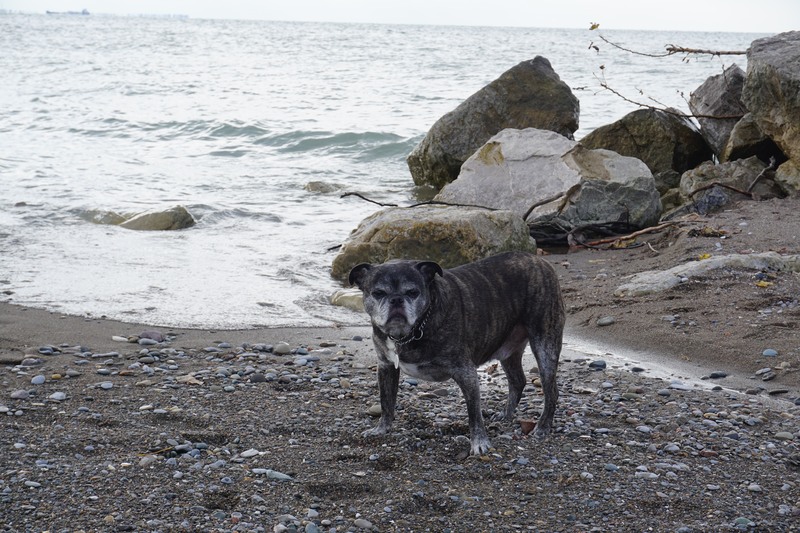 It was an uneventful drive and we were almost at the park when I stopped in Leamington for a coffee and a quick snack at Lakeside Cafe. I ordered a nice americano and double chocolate biscotti which I ate while ignoring the not-so-subtle snorts and whines from the backseat. From there we continued to the park. Everything was going smoothly until we were on the very last stretch of road which was under construction and we had to take a detour along a road that seemed to go nowhere. I honestly thought that I had missed a turn. Then the gate seemed to materialize out of nothing. 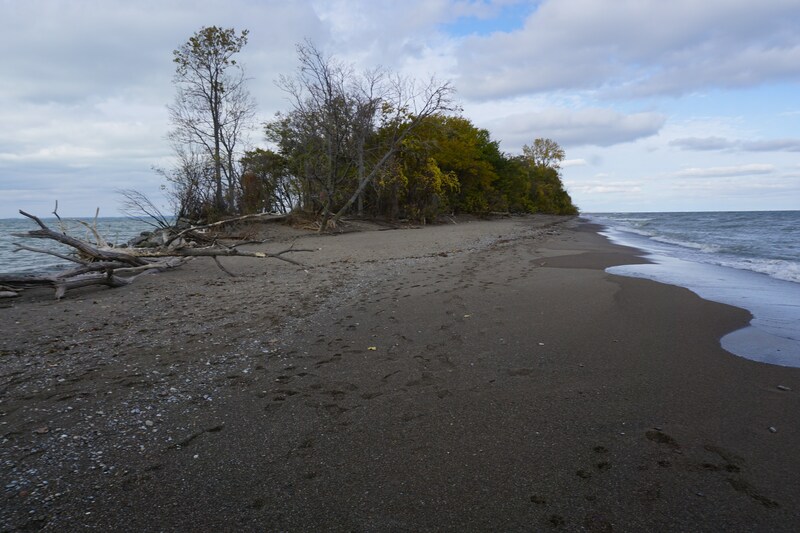 Point Pelee is the smallest park that we have been to, measuring a whopping 15 sq km. 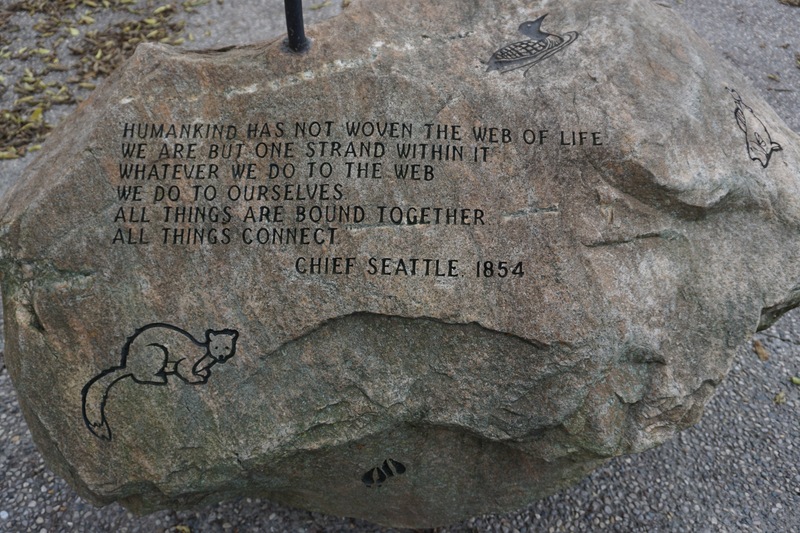 There is one road that runs along the west side of the point which is paralleled by the Centennial Trail. Seven other trails lead off the main road. 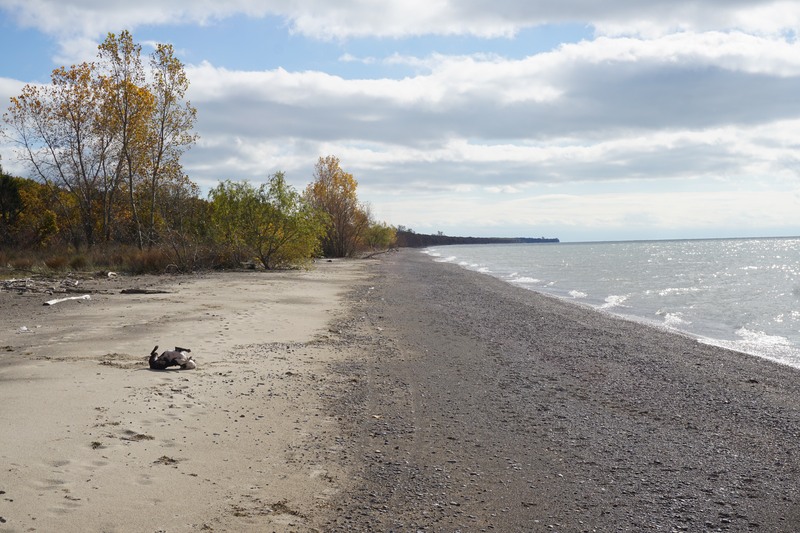 We first stopped at Northwest Beach and found the lot and beach completely empty. 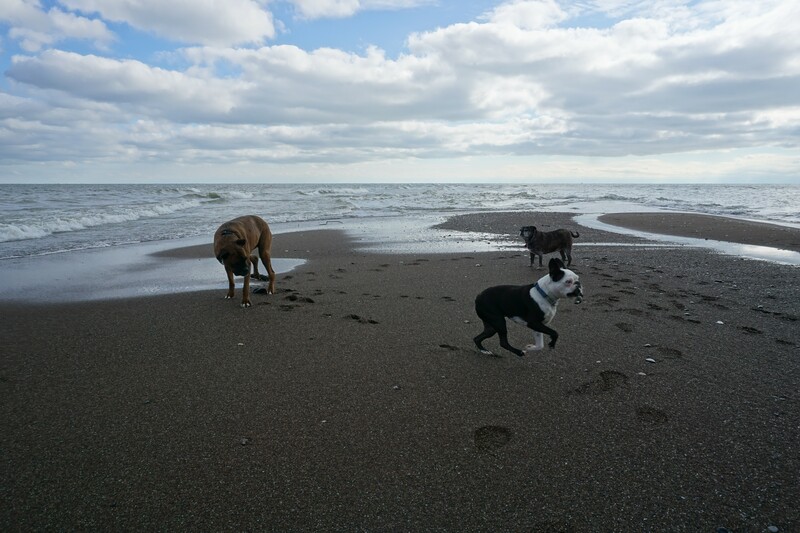 Naturally the dogs went straight to the water’s edge and while Piper jumped in the waves, Leo rolled in the sand. Jack is not given to such frivolity and set about claiming his territory, if you know what I mean. We walked down the beach and I was so dismayed by the sheer amount of garbage I saw washed up around us. I felt bad leaving it there but I don’t normally carry gloves and garbage bags with me. We turned back to the car and continued south. 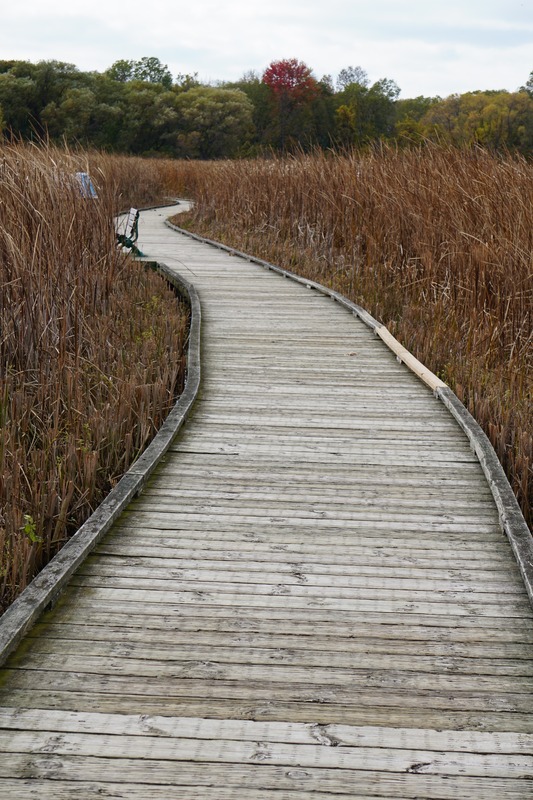 Our next stop was at the aptly named Marsh Boardwalk Trail. 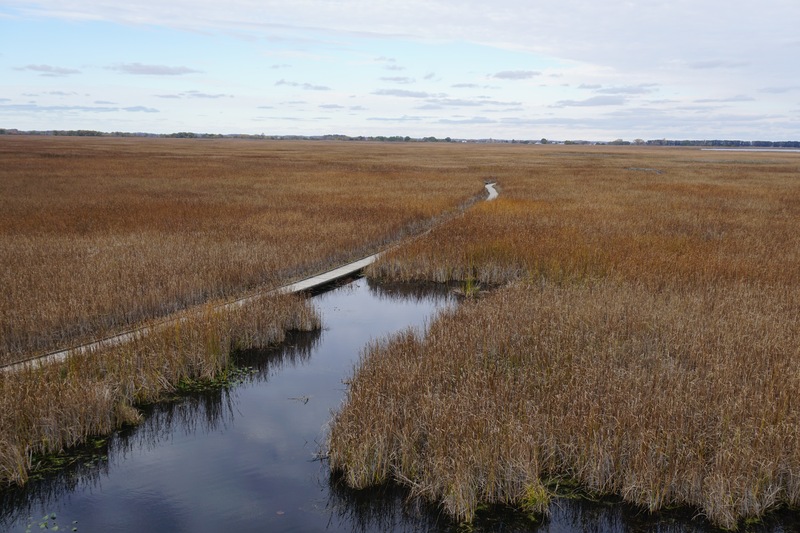 This is a boardwalk that leads through a marsh. 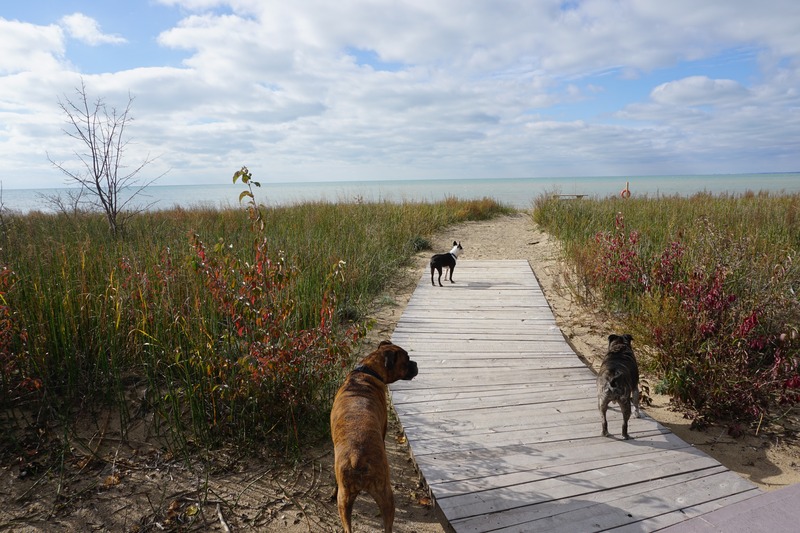 The dogs were not happy to be kept on leash but the last thing I wanted was for them to jump off the boardwalk and into swampy marshland. 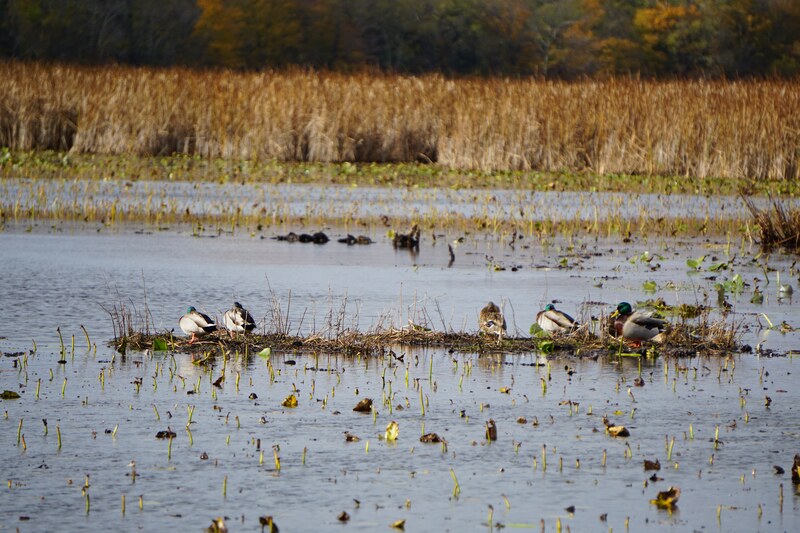 There were plenty of ducks to watch but during migration season, this area is a birder’s dream. We were too late in the season to see the monarch butterflies that stop here on their route to Mexico but I can only imagine how gorgeous that would be. 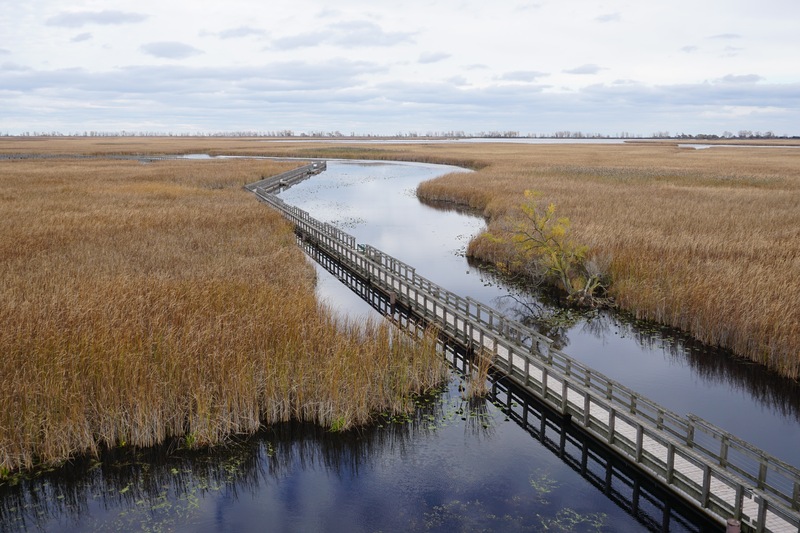 There’s an observation tower that gives sweeping views of the marsh. Several of the trailheads were locked for the season so our last stop was the trail to the tip. There were a few other people braving the wind but for the most part, we were alone. 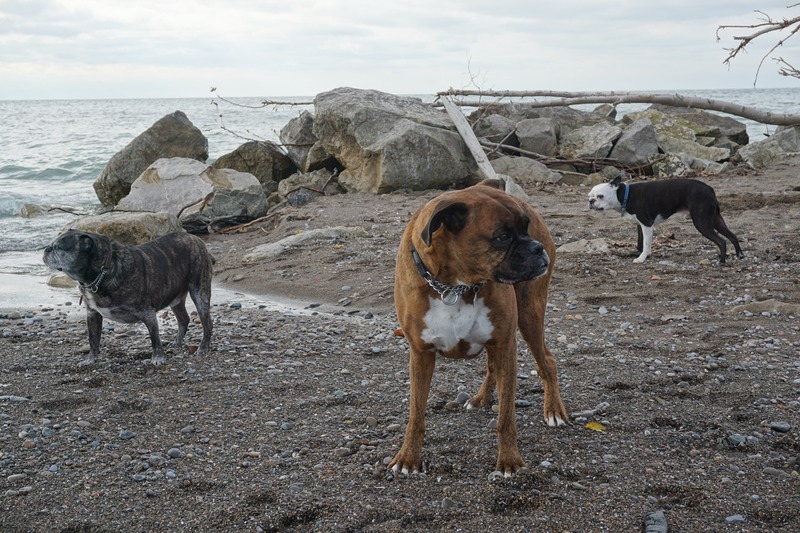 The dogs played in the sand while I found a rock to sit on and look out over Lake Erie. It was a natural place to pause and reflect and I thought about all the things we had seen and the parks we had visited in a few short months. I must have given off a weird vibe because Piper came and stuck her head under my arm so she could press against my chest while Jack put his front paws on my lap to get my attention. 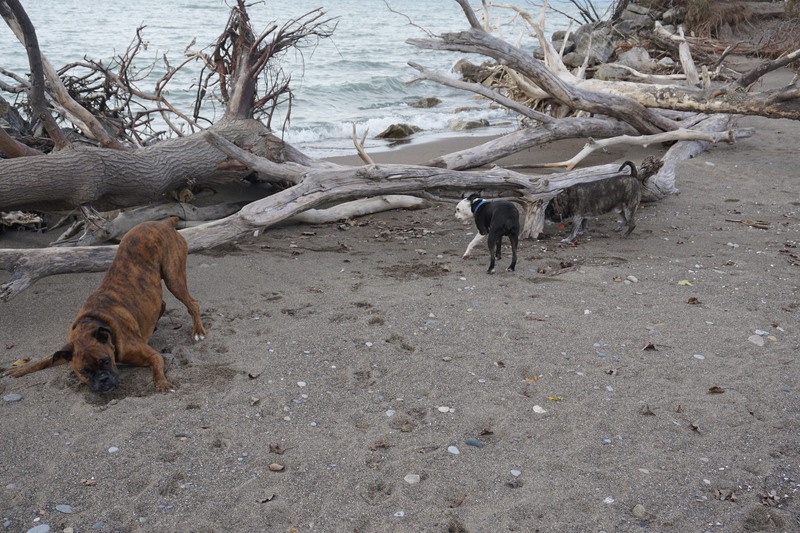 Leo appeared with a stick that he stuck in front of Jack and they were off on a wild game of tug. 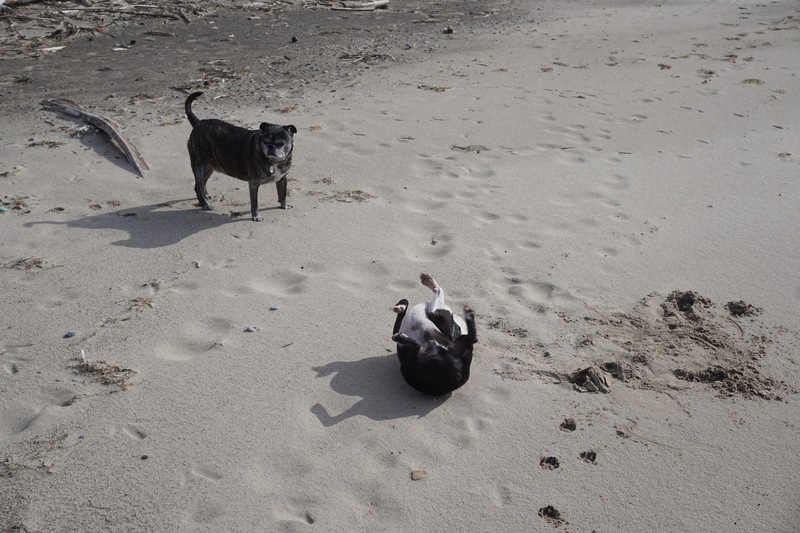 When I started laughing, Piper’s little stump began wagging furiously and she tried to get the boys to play with her. They are such funny little monkeys. As we left the park, I noticed that there were several signs for nearby wineries as the north shore of Lake Erie is a burgeoning wine area. I decided that since there were two very close to the park, I just had to stop to investigate. My first stop was Mastronardi Estate Winery. 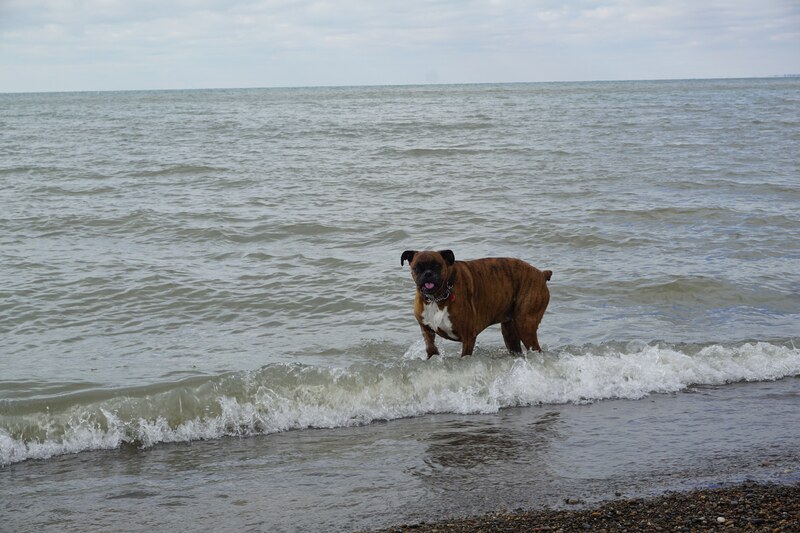 Unfortunately dogs were not allowed to join me, but after a couple of little samples, I left with a bottle of Cabernet Sauvignon and one of Chardonnay. The tasting and retail room was small but really cozy and it would have been an awesome place to pull up a stool and linger for a while. Our next stop was Oxley Estate Winery. This tasting room was part of the restaurant and it was such a beautiful room that I would have happily sat there just soaking in the ambiance if it weren’t for the pups waiting in the car. The woman working inside gave me the history of the property, and the building that I was standing in while I was swirling wine had once been a barn. I had a few little samples and picked her brain about a place to eat before leaving with a bottle of Regent 2016. She did mention there was a brewery in nearby Kingsville. A brewery eh? Hopefully a dog-friendly brewery since it was a little cool to be sitting on a patio. 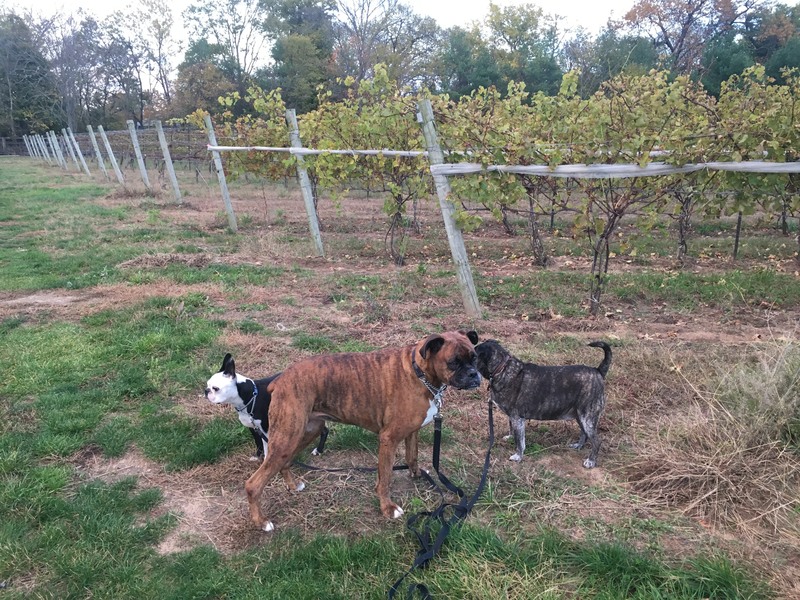 A short walk among the vines. I stopped in at The Grove Brewhouse which also houses a hotel. I was hoping that the dogs could sit with me and if not, that they had rooms available so that I could pop down for a beverage. Unfortunately dogs are not allowed in the brewery and they did not have any rooms available. So plan B. Of course I left with a growler of their seasonal Lupulin Express. Many of the places in Kingsville were closed but Jack’s Gastropub was still open. Since dogs were not allowed on the enclosed patio, I would have to get something to go and settled on the Canadian club sandwich. It seemed that in mere moments, I was sitting in the car as I shovelled a sandwich of chicken, cheddar cheese, bacon, apple, and maple aioli on grilled naan bread into my mouth. It never occurred to me to try and take a photo. 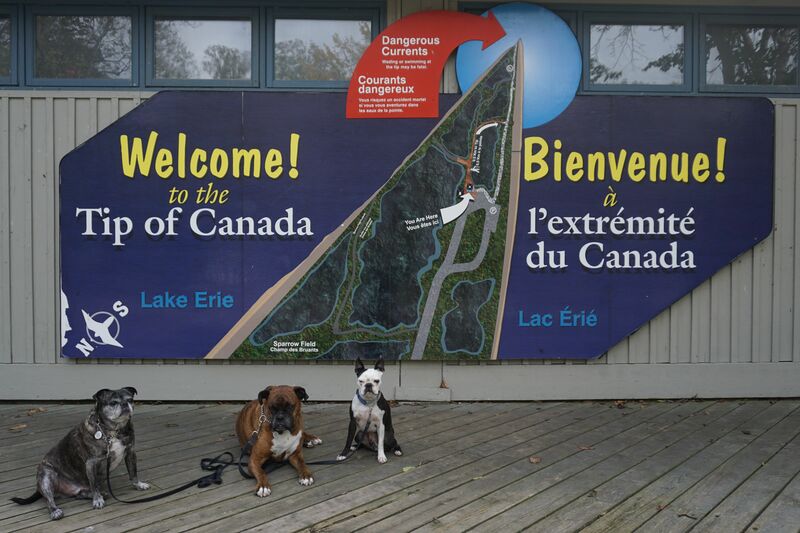 The dogs were passed out in the backseat and were not happy when I made them get out for a quick pee break at one of the OnRoute rest stops. I had to practically lift Jack out of the car and Piper gave me her characteristic huffs when I poked her rump. Leo just looked at me with those “You’re kidding right?” eyes. They begrudgingly jumped out then almost immediately wanted to climb back in the car. Fortunately the brief stop helped to wake me up so I was able to continue home. Needless to say, I was tired when we walked through the door but it had been a wonderful day to explore the last of our National Parks. 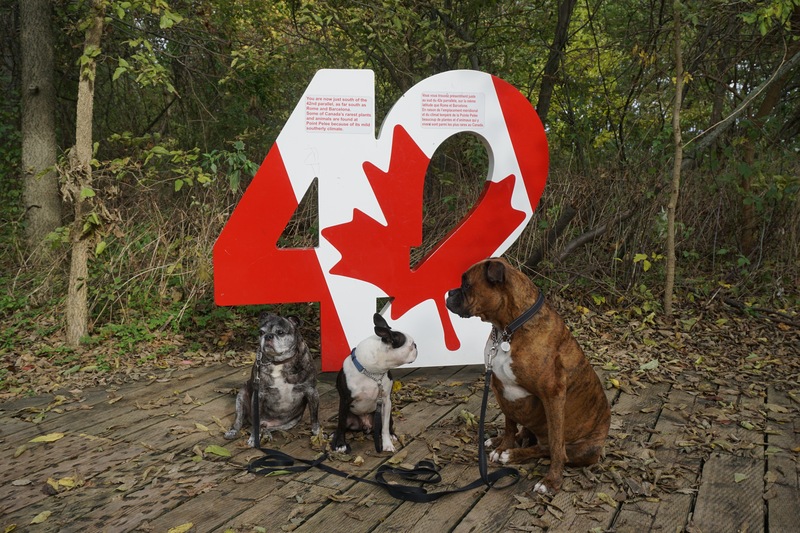 There are several exits from Highway 401 that will lead to the park. The flat land of the park lends itself to easy hiking and cycling. There are canoes available to rent and paddle through the marsh. 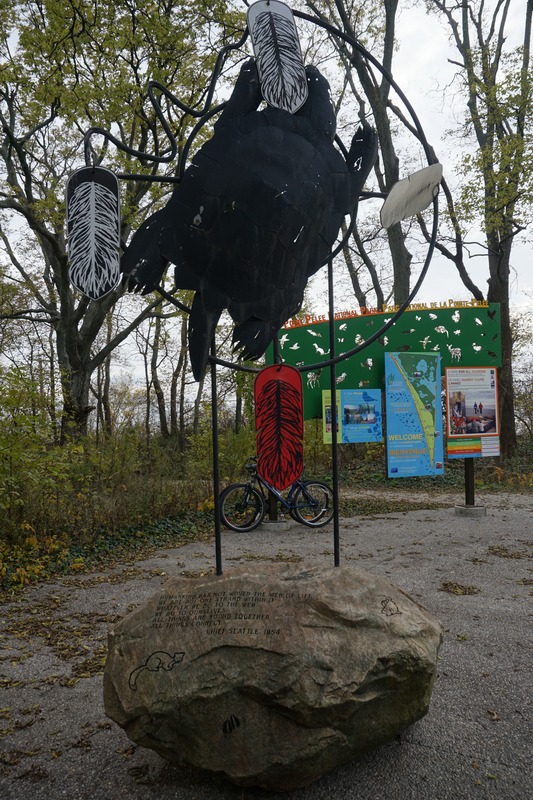 Birding is very popular in the spring when birds migrate back north and they rest in the park. In the fall there, is the southward migration of both birds and monarch butterflies. There are no campgrounds in the park but there are 24 oTENTiks available. There is the Cattail Cafe at the Marsh Boardwalk Trail but I have never been there when it is open. Nearby Leamington and Kingsville have several good restaurants. I can attest to the food at Jack’s Gastropub in Kingsville and Lakeside in Leamington. 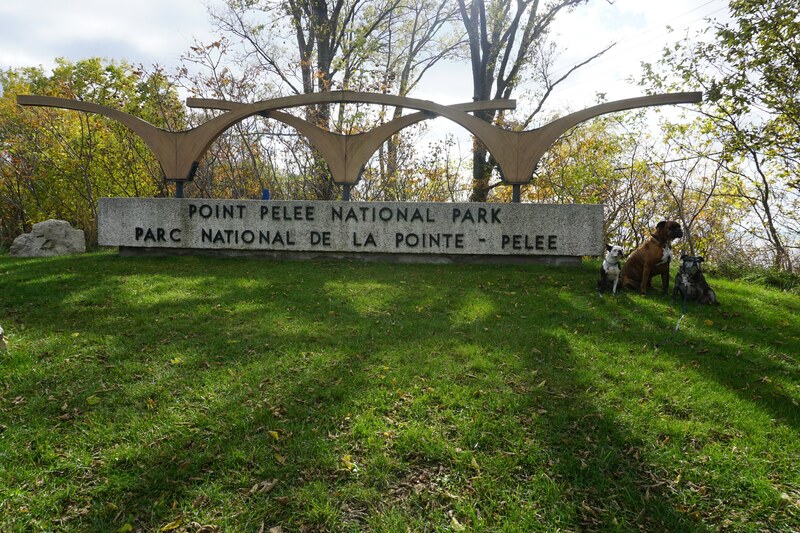 6 response to "Point Pelee National Park"
That boardwalk is amazing. Good to know you are home safe and sound. The parks have been great. I’m actually tempted to go back to the boardwalk in the spring and catch the birds. I’m glad you’ve enjoyed our trip across the country. 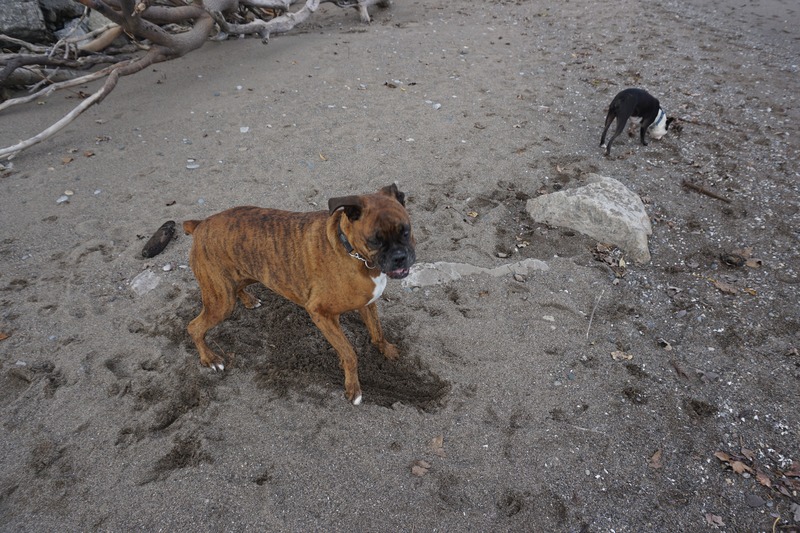 Love that Leo needs to roll around in all the sand and the ideas of the wineries sounds cool. Had to look up what Growler meant. 🙂 Nice story! Jack pees and Leo rolls. It’s just what they do. I think that with the increase in craft brewers, growlers are becoming more common. I hadn’t heard of them until recently. I’m glad you enjoyed our little tale. Thank you for joining us on this wild trip. May your howlidays be merry. Hugs from all of us.